The 24â€ ultra-thin bezel display targeting ultimate office productivity, performance and quality, fulfils the demand for future-ready design. 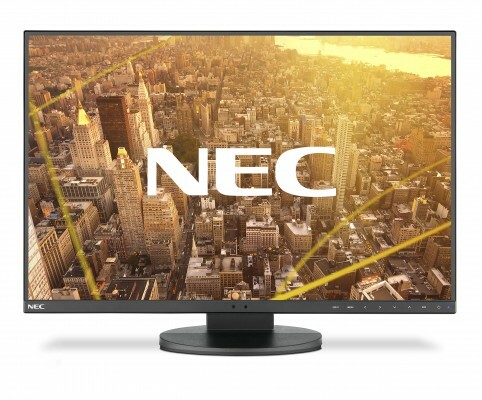 With its full height adjustability from 0 to 150 mm and 170Â° swivel functionality this display ensures perfect individual ergonomic set-up supporting best productivity. Ensuring the well-being of the user, built-in Low Blue Light technology filters out hazardous blue light emissions whilst Flicker-Free technology eliminates the effect of flickering. The usersâ€™ eyes are protected whilst ensuring a true-to-life display colour performance from all viewing angles. The LED backlight panel with AH-IPS technology supports a high display brightness of 300 cd/mÂ² and in parallel lowers power consumption.